Designed for junior riders, the Blast I offers a safe and enjoyable ride. 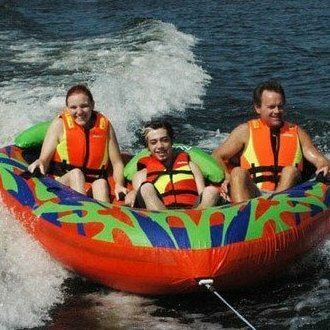 Made of strong 440 denier nylon and .50 PVC Headrests and nylon wrapped handles will keep you comfy as you zoom across the wake. Reinforced tow line. Also provides back rest.